By now, my blog game is hella-strong, yo! I troll sites like TMZ and Deadspin for fodder. And when I see stories like Samar Kalef’s “Rockets’ Twitter Guy Fired Over Emoji Violence“, well, like a moth to a flame. On Tuesday night, the Houston Rockets played the Dallas Mavericks in Game 5 of the first round of their NBA playoff series. 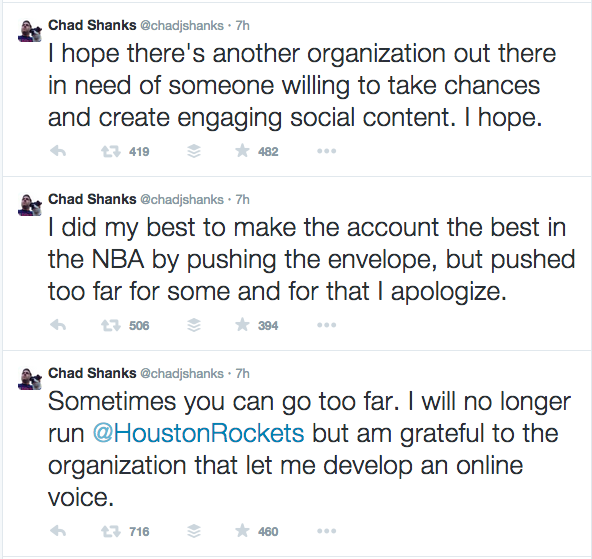 While the Rockets, up three games to one, looked to close out the best-of-seven series on the court, Chad Shanks, the Rockets’ Digital Communications manager, was tweeting away (alley-oop tweet, funny tweet, Mystikal tweet). 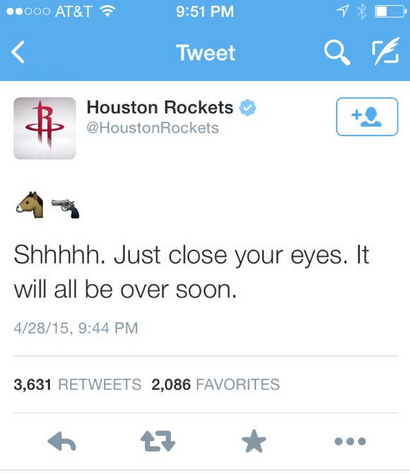 And, yesterday, in a series of apologetic tweets, Mr. Shanks confirmed that his emoji tweet had cost him his job. Whether you’re a social media pro, or dabbling novice, it’s easy to get caught up in the moment. And with social media only a few taps away on a computer, tablet, or smartphone, it’s so important to remind employees to think before they click.